The contractors’ $477 million winning bid is based on the original scope of work and design. Gov. Andrew Cuomo’s announcement that the work on the Canarsie Line tunnel used by the L subway train scheduled for April will be changed could add millions to the project’s cost. For instance, forcing contractors to mobilize workers before tunnel access on evenings and weekends increases costs. So does having to stop work each time subway service resumes. Two-directional service on one track is risky, and trains with mechanical difficulties could create chaos. This is not a good deal for commuters or taxpayers. Installation of new elevators and entrances, along with other station, track, lighting and power work, will require additional NYC Transit employee support. It will cost millions more to provide safety for private construction employees. The Federal Transit Administration Hurricane Sandy Recovery and Resiliency grant funds in 2016 provided several hundred million dollars. Will the MTA now have to update FTA’s approved environmental impact statement, new design change, scope of work, budget, project schedule and investments’ useful life? Will the contract have to be renegotiated? These added costs will be more than credits given the contractor for deletion of work based on the new design. The contractors’ claims for additional financial reimbursement would be based on delay claims due to limited site access and change orders for design and work scope changes. Who pays for materials ordered in preparation for initiation of work in April that now might not be needed? How will the MTA find more money to supplement federal funding? 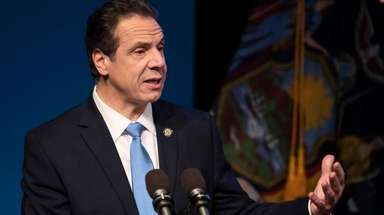 Cuomo attempts to portray himself as the second coming of President Franklin Roosevelt and master builder Robert Moses. Cuomo is not an engineer, transportation expert or daily commuter. He does excel at photo-ops when walking the tracks, many times without wearing the safety vest or hard hat required by the Federal Railroad Administration. Larry Penner is a transportation historian, advocate and writer who worked 31 years for the Federal Transit Administration Region 2 New York Office.